Fashion week has come around again and its time to get creative with new canapes and small eats, and this incudes desserts or sweets. We want to come up with dishes that are light, delicate, delicious and look beautiful. I think people might scream if they see another raw date truffle. The whole substitution of ingredients for no good reason is maddening. When we started Tart it was all about cooking good quality home cooked food for fashion shoots, food to make you feel good and food that looked good – this is where we got to be creative, making dishes look beautiful, attention to colour, texture and taste. Along the way we have often been pressured by producers, wanting us to take things out of dishes, change dishes so to become ‘healthy’ or more ’clean eating’. We view our food as naturally healthy (perhaps with a tad of naughtiness every now and then), its balanced and its using the best quality produce possible, its real and its fun, and most importantly it tastes good. We are however careful when it comes to certain ingredients, like sugar not to over to it, and try to substitute where possible for a natural alternative like honey or maple syrup. This keeps us happy and our clients happy. 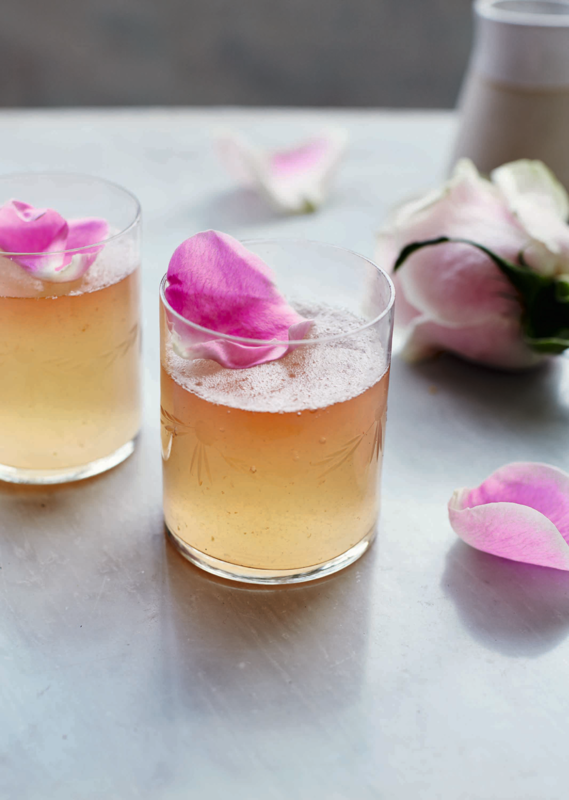 These jellies are a light, clean dessert and look very pretty, the honey provides natural sweetness – you can either serve them in a champagne glass or if for canapes we serve in a delicate shot glass decorated with rose petals. If you are doubling the recipe then take into consideration that the cooling time in point 2 will need to be longer. 1. Simmer water and honey together in a pan for a couple of minutes, add the lemon zest and juice and combine. Take off the heat and add the gelatine, stir till all has dissolved. Then sieve the mixture into a bowl or jug and put in the fridge. 2. Leave in the fridge for just about an hour till nearly set – but keep an eye as you don’t want it setting just yet. 3. Very carefully poor in the champagne and stir – try and keep as many bubbles in it as you can, then pour the mixture into your glasses you have chosen for serving, then put into the fridge and leave to set (will need a good couple of hours). TIP – you can use cheap bubbly here, but don’t use anything too sweet. Actually, a darker rose works well as will give good colour.